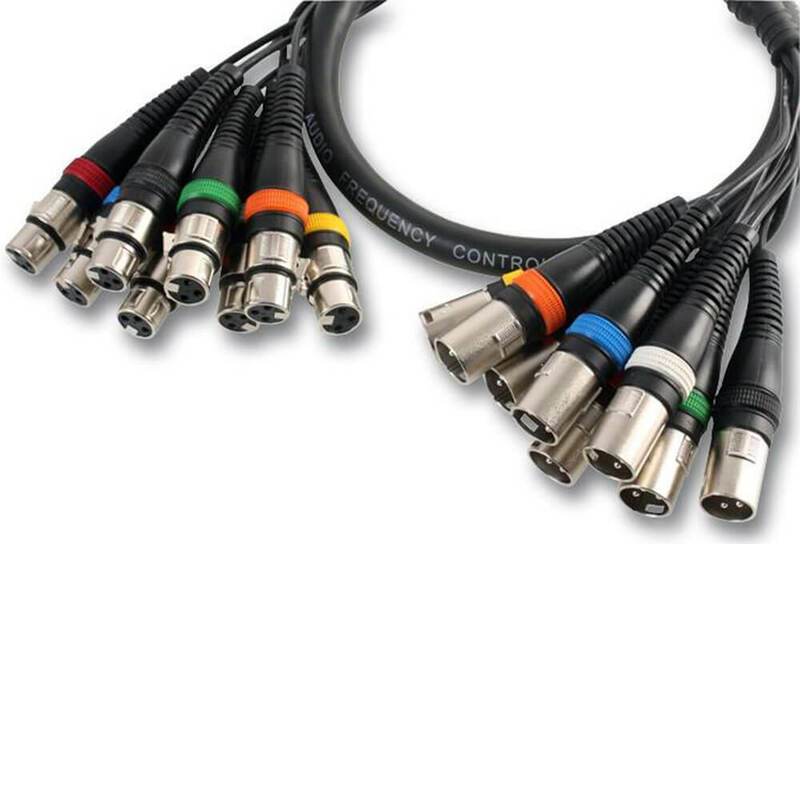 8-way XLR plug to socket looms designed to reduce cable-clutter in live events or recording studios. 8-way XLR plug to socket looms designed to reduce cable-clutter in live events or recording studios. Suitable for balanced line or microphone level signal transmission.